If you feel like your Squarespace website could use a little sprucing, try these tips on for size. Your website should feel like an extension of you- a place you're proud to share with people. If it's not, get to sprucing with these easy, peasy tips. 1. First and foremost... make sure your opening statement is CLEAR. It should basically include two components: WHAT YOU DO + WHO YOU SERVE. Example: ConvertKit’s opening statement: Email Marketing for Professional Bloggers. Boom, no ambiguity. I see a lot of websites where you don’t know exactly what is being offered until you get to the about or services page and even then it’s not entirely clear. Don’t make your clients hunt for the most critical piece of information. 2. Create S.P.A.C.E. Add Spacers. Spacers are an easy, peasy visual element that get overlooked. Use them to space between sections or to properly lay out images and text. 3. 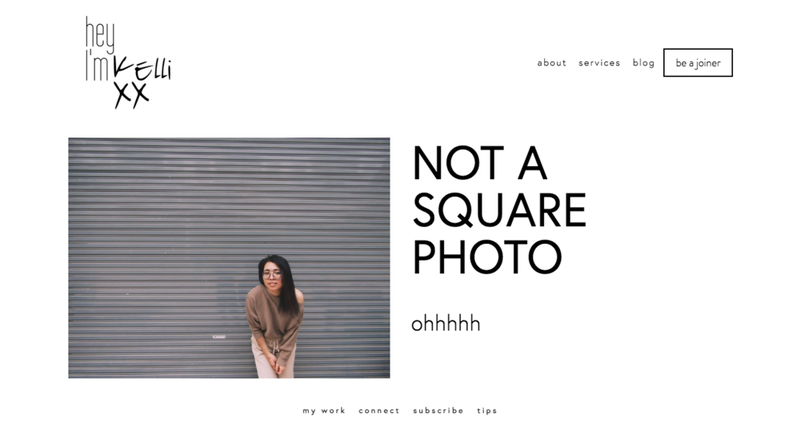 Square your photos. Squaring all of your photos keeps them looking modern + uniform. Also gives you the ability to crop things out of the photos that don’t suit your fancy. To be noted there is something about this feature that gets sticky from time to time on Squarespace, so if you hit the edit button and nothing happens, then exit out, give it a minute then try again. 4. Switch it up. 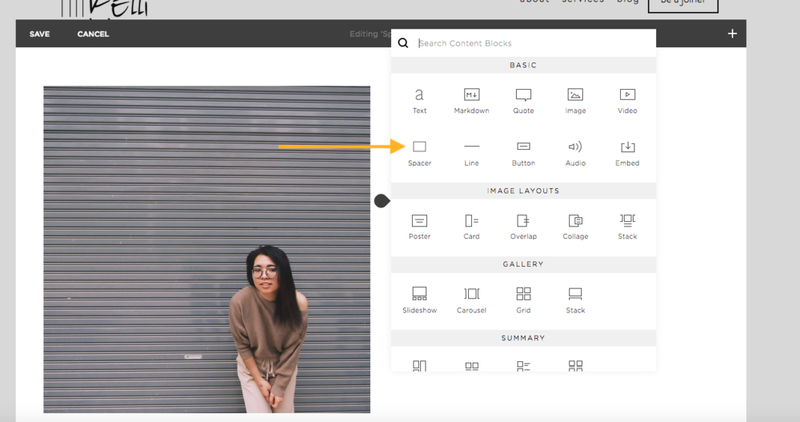 Use different Image design options as ways to showcase content. Here’s what the Poster, Overlap, Collage and Card options look like. In the style settings you can change the font size + color and other design elements for each image option, so you are not limited to the black and white situation I’ve used. Ta-da! I hope you found these tiny tweaks helpful. If you want to learn more about sprucing yo 'Space be sure to surrender your email below, as I'm creating a course designed to teach you how to Spruce Your Squarespace in Seven days. No tech experience required. Promise.